This week the marriage podcast series continues as Pastor Priji converses with Pastors Subi and Beena (pastors of Tabernacle of Prayer Church in Mumbai) on the importance of prioritising relationships- with God, each other, and the children- over other commitments, along with how to deal with familial conflicts. 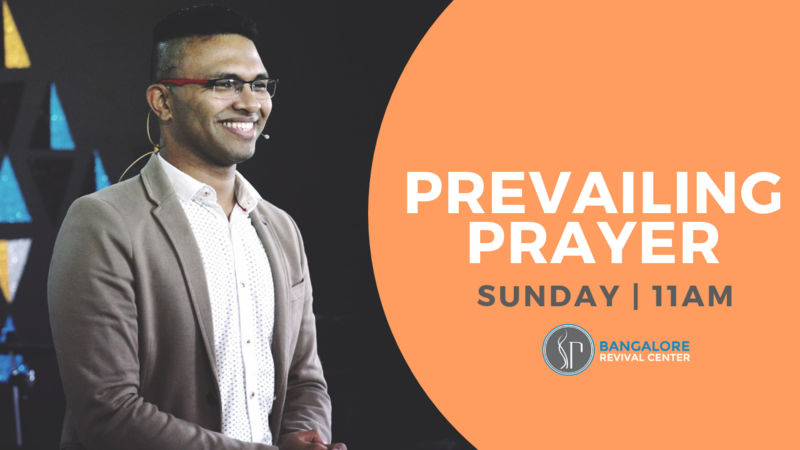 Pastor Priji: How would you define your personal relationship with God in your daily routine? Pastor Subi: We both have our separate personal devotions with the Lord. Along with that we have our family time of prayer along with the kids before they leave for school. God is not someone out there. He is a reality in our live s. He is part of our conversations. Everything we do in our lives revolves around God- from the smallest to the greatest. Pastor Beena: It is constant conversation with Him. Everything I do or think is constantly done with God right next to me. My relationship with Him is a Father walking with His daughter and a Friend by my side at all times. God surely answers when He is waited upon. When we are dealing with something in the house, the Word becomes real in that situation and helps us. Pastor Priji: What are some of the principles you follow in your personal relationship with each other? Pastor Subi: We do life together. All other things must fit into this priority in my life- my marriage. Business is not my first priority. First come my marriage, second my parenting, then comes ministry. Being a husband, then a father, then a pastor- that’s my priority. Business comes afterwards. We take time out for ourselves. We take a trip with the kids during some weekends. It helps us bond and catch up with the things happening in our children’s life. We have a principle to never keep a secret from each other in our marriage. Keeping secrets can set a trap to commit, as I call it, emotional adultery- sharing secrets with those other than your spouse of which the latter knows nothing about. You shouldn’t offload onto someone who is just a friend as opposed to your spouse who is to be with you through thick and thin. Pastor Beena: There are times when people come and tell me things and ask me to keep it to myself and not share it with Subi, to which I do not comply to. Whether it is a simple joke, or a ministry issue, or something that happened in that day. We make it a point to share things with each other so that we are aware of everything that happens in our lives. There are no secrets in a successful marriage. Learn to prioritize things that matter- God first, marriage second, children third. Ministry comes only afterwards. With the ministry context in mind, it is our God given duty to make time for the family- immediate first and then the extended ones. Pastor Priji: What would be the ideal personal time with the spouse? Pastor Beena: Common things to do can be helpful, but still one can participate in the other’s interests- like a sport or a play. One should learn to be there for the spouse regardless of differences in interests. The act itself may not be that entertaining, but it brings you closer to each other. Take a walk or go on a drive. Do simple things like going grocery shopping, house chores, tax filing together. There may be disagreements while doing these, but as a couple we must bring out the differences in each other and learn to talk it out as it is healthy. We all have baggage and tend to hide it. Come to a place of complete openness with the spouse. Come to a place where you are confident enough to make your spouse your confidant. Pastor Priji: So in our time together the differences in us are brought out- things that might not have surfaced till then. How to solve preferential conflicts? What is the best problem solving technique without hurting anyone too much? Pastor Subi: The most spiritual person will always apologize or make peace first. Man and God had a problem. God was the One Who took the first step. The person who is closer will be the first to apologize or bring in peace. No one enters marriage thinking it to be over in the next six weeks. All desire to make a marriage work. Only God can make it a reality. God has to be the priority. If God is a priority, one will invariably be closer to the spouse than the one who is not. Conflict resolution is very simple- you learn to say “sorry”. Between two people who are completely in love with each other there is no pride. When pride is involved, marriage can become troublesome. Considering conflicts, there are principled ones and preferential ones. Couples can fight even in small things like painting the house a particular colour- these are preferential conflicts. They do not affect your life. If there is a conflict like deciding to allow movies or newspapers containing explicit contents, or like the decision to prioritize God in the marriage- are principled conflicts. These decisions will gnaw into my marriage. You fight tooth and nail for principles. You allow compromise in preferences. Preferences are not things to fight on. I can voice my preferences, but not fight on it. Pastor Priji: When it comes to principles we need to fight till we land on a Godly conclusion. Your work on your marriage is reflected on your parenting. What have you done differently from others with regards to parenting? Pastor Subi: We have been keen students of successful marriages. We have looked up to couples who have good marriages, good parenting strategies, and have built up Godly relationships with each other in the family. We gleaned a lot and adapted to those things in our lives. The most important point on our side was that God was a reality in our family. We talked about God to our kids always. For every problem, we taught them to seek solution from God first. Therefore it is now normal for my daughter to pray for others when she finds anyone facing a problem. Let the Word of God be the most important thing and everything else flows from it into the family. Keep encouraging them and helping them knowing full well that they have their weak points and limits. We encourage them in their ambitions no matter what they desire to be in the future, as long as God is glorified in it. Pastor Priji: It all come down to pursuing God personally, letting it flow down to your children. It does not take much effort. How do you manage the time with family, ministry and business full time? Pastor Subi: This is where my love for Beena goes really high. She helps me. When I preach, she keeps the kids away from me to help me prepare. When it comes to dividing time amongst the things I do, there is nothing exceptional. Even if I did not pastor a church, I would still be in prayer and fellowship with believers, still spend time with my kids, etc. In church too Beena ministers to the women, I do not. I minister only to the men. We split the task so. We have a team to handle the worship. I am given the task of counselling. We have a lot of guest speakers who minister at the church. It helps in bringing a lot of perspectives and flavours to the church. This help gives me time and energy to focus on other things too. During travelling times, I consciously take time out to be with the family. Many times I plan my outgoings according to the kids’ school timings, so I’m back home soon after they are, giving me time with them. When they are asleep, Beena and I spend quality time together. Pastor Beena: I do not find it difficult to manage the timings either. As mentioned before, we do life together- each other and the kids. Pastor Subi: We do not entertain parties where the kids are not invited. We make a day out of small things like shopping so that we can be together. Pastor Beena: I get the time to plan out the day with kids, church, counselling, etc when the children are out. When they are back, we dedicate the time to them. However there are certain times when that does not work out because of different schedules or important meetings. We have to let them go on with their schedule without interruption, but we make it a point to catch up with it again soon. We also take breaks in between things where kids are not present to come back home to them. If the week schedule has been too packed, we have an extended dinner time together. A successful marriage is all about prioritizing the family roles of being a spouse and a parent above all things but God. P.S. : Here’s a book that can revolutionise the way you parent your children.